Jun 29, 2018 Federal-Mogul, Champion, cabin, air, oil, fuel filters, engine, OE. 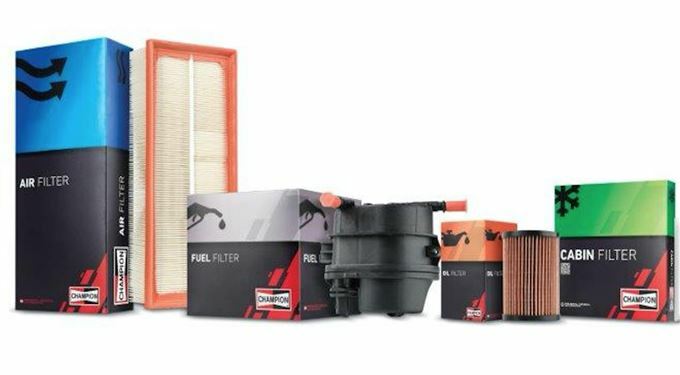 Federal-Mogul Motorparts has highlighted its Champion range of cabin, air, oil, and fuel filters for optimised engine performance. The comprehensive range of Champion cabin filters offers 92% coverage of the European car parc and were developed according to the most stringent OE requirements. The cabin filters guarantee optimum performance, providing protection against not only fine dust, but also against pollens, road dust, abraded particles, soot, bacteria, industrial dusts, and other respirable ultra-fine particles. Apart from the health benefits, a new cabin filter maximises the airflow in the A/C heating system, resulting in better performance, reduced fuel consumption, no odd smells in the vehicle and also extends the lifespan of the cabin blower, therefore ensuring optimal window defogging. Champion’s OE-matching quality replacement parts avoid potentially dangerous issues, says Federal Mogul Motorparts Technical Advisor Albertus Steyn. To protect the most important components of the fuel system of both petrol and diesel engines, the brand offers a competitive range of fuel filters that offer the same performance as their OE counterparts. This assists in preventing power loss, damage, and bad starting properties due to contaminated fuel. The sensitivity of modern injection systems means that even the smallest particles can cause problems, due to the small tolerances of the moving parts of pumps and injectors. “Therefore, it is essential that only high-quality filters are installed in any fuel system,” Steyn concludes. Federal-Mogul, Champion, cabin, air, oil, fuel filters, engine, OE.